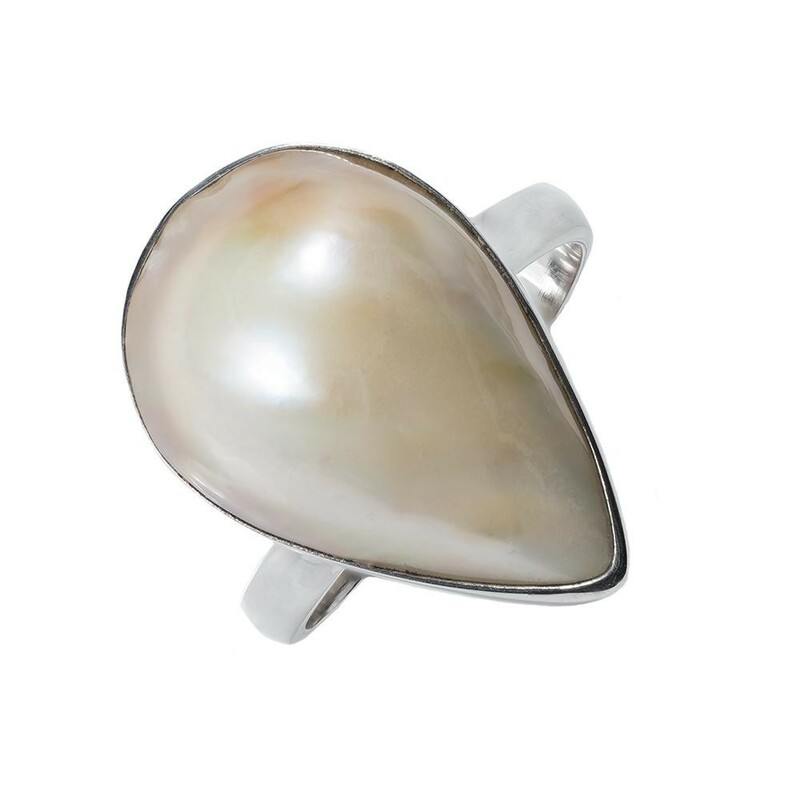 Lavish Mother of Pearl Teardrop Ring with a teardrop-shaped Mother of Pearl stone affixed on top adds to the beauty of this statement ring. Exemplary Handcrafted jewelry with human touch makes it simply a heavenly craft assembled on earth. *Dimensions given may vary according to s... Read more.